Palmer played down the risk of a hard Brexit. 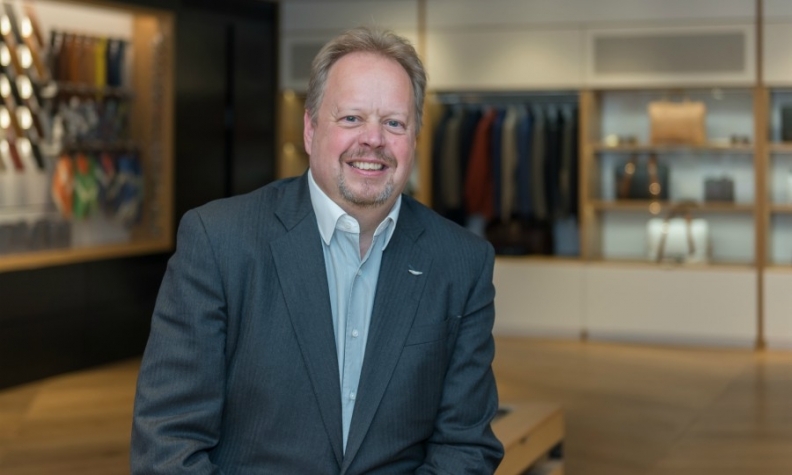 LONDON -- Aston Martin CEO Andy Palmer says he intends to float the company on the London Stock Exchange by the end of the year, completing a turnaround after new models and a surge in volumes helped the brand return to profitability following chronic losses. The automaker said it had filed a registration document with the UK's Financial Conduct Authority, which is a requirement of companies considering an initial public offering (IPO). Pending a final decision, a prospectus will be published on or around Sept. 20. Palmer told Reuters he hoped the flotation would complete by the end of the year, which would coincide with when Britain aims to have agreed a Brexit deal with the European Union. If successful, Aston Martin would become the first British-based automaker to be listed in London for years, following the sale of such brands as Jaguar, Bentley and Rolls-Royce to foreign owners. The IPO could see the company valued at up to 5 billion pounds ($6.38 billion), sources have said. Aston Martin sells roughly 25 percent of its cars to the EU and operates its only plant in Britain with a second one due to begin operations in 2019. Palmer said he did not think even a bad Brexit deal involving tariffs would have a big impact on the automaker. We can demonstrate that Brexit is not a major effect for us," he told Reuters. The automaker intends to apply for a premium listing on the London Stock Exchange with employees and customers able to apply to purchase shares. Aston Martin, which spent years losing money, last year turned its first profit since 2010 and on Wednesday posted half-year adjusted pre-tax profits of 42 million pounds as revenues rose 8 percent to 445 million pounds due to strong demand for its DB11 coupe and Volante models. The central England-based company said it expected full-year volumes to rise to between 6,200 and 6,400 units and in the medium term it aims to build nearly 10,000 cars in the 2020 calendar year.